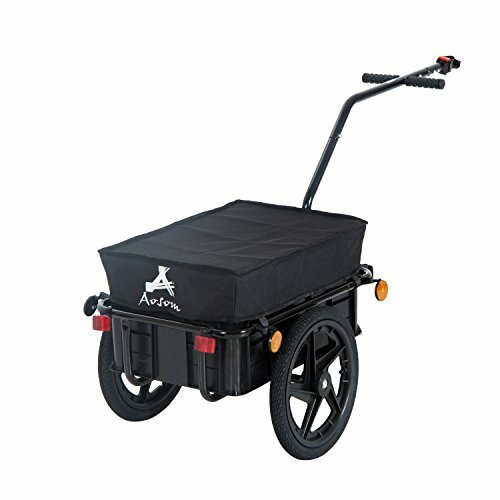 Two wheels means twice the power, freedom and fun with the Aosom Double Wheel Bicycle Cargo Trailer. With two wheels instead of one, you'll never worry about stability or struggle with a heavy load. It's all thanks to the double wheel design, which allows this trailer to bear the total weight of your goods all on its own. This trailer is built for touring with a removable cargo compartment, waterproof cover and reflectors for safety. Think of it as a trunk for your bicycle, offering the same privacy, convenience and protection from the elements.